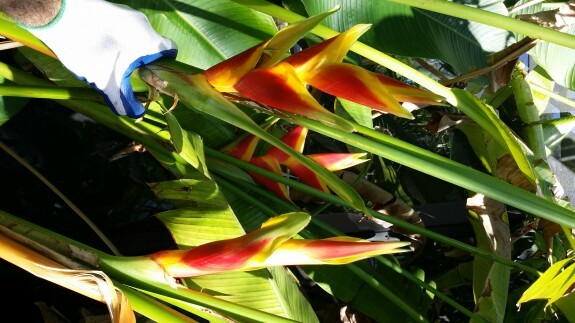 We’ve got some cool new stuff around the nursery- plenty of Heliconia, lots of great Hawaiian Ti Plant varieties – unusual Philodendrons and Anthuriums – all kinds of stuff. We will have some more 7gallon Rainbow Eucalyptus available on Saturday. We will be closed Monday-Friday of next week for Spring Break, but will be selling plants at the Eau Gallie In Bloom Flower & Garden Festival on Highland Ave (just over the Eau Gallie Causeway from Exotica Tropicals) on both Saturday and Sunday 3/22-23. 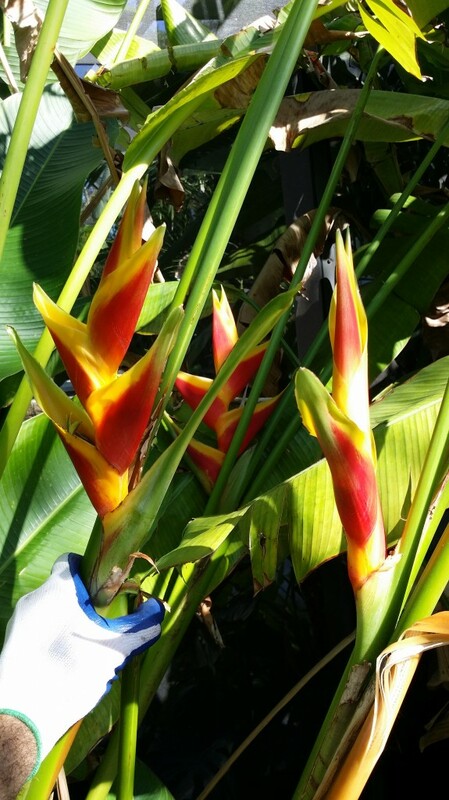 Starting to see lots of action in the garden these days- my Heliconia jacquinii has already been pushing out tons of blooms (see photo below) – it’s going to be a great 2014 tropical season!